Does your scalp itch? Do you get little white flakes? The skin on your hands, body and face tends to get dry in the winter, so it shouldn’t be surprising that your scalp can also get dry, itchy and flaky. Cold, dry temperatures outside combined with indoor heating can really take a toll on your skin from head to toe. First of all, make sure it isn’t dandruff, which is actually caused by an oily scalp. For dandruff, you may need pyrithione zinc or salicylic acid shampoos or treatments. Eczema may also require different treatments (perhaps cortisone or a medicated shampoo). And finally, make sure it’s not lice (if it is – I’m so sorry – that is NOT fun)! 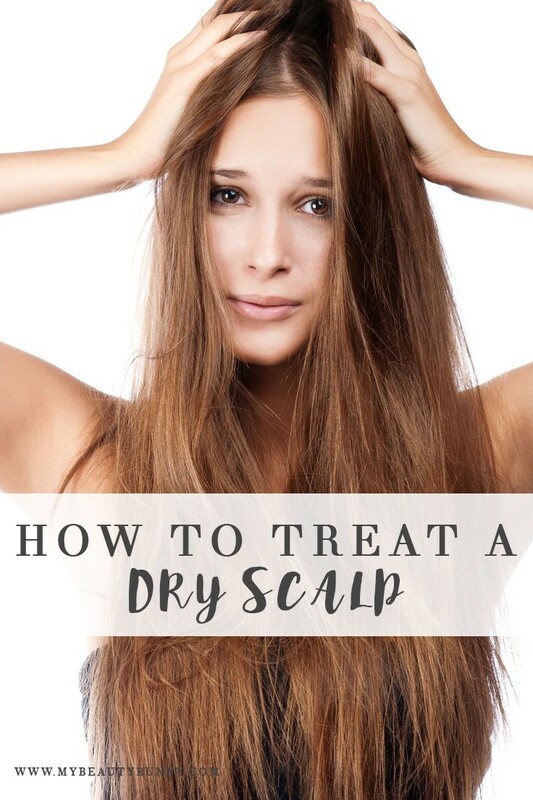 If you’re pretty sure the itching and flaking is from having a dry scalp, you can easily treat it. If you only notice it happening during the winter months, that’s a pretty good indicator that you’re dealing with dryness. Here are some ways to treat an itchy, dry scalp in the winter(or any time of year), including the best dry scalp products out there! Hydration is key, and although this is super obvious, I thought I’d mention it as a reminder to go get another glass of water since we all forget sometimes (do it right now – I’ll wait!). If you’re drinking lots of coffee and tea, you may need more water. Your body needs moisture, but don’t overdo it either. If you drink TOO MUCH water, you’ll flush out all your electrolytes. When I notice that I’m feeling dehydrated and my fingers look pruny (like I just got out of a bath), I take a scoop of Vega electrolytes and I usually feel better within 30 minutes. Water + electrolytes can help keep your skin hydrated and your body healthy. Have you Tried a Humidifier? If you’re turning on the heater in the evenings, you’re probably drying out your skin while you sleep. A humidifier can help immensely by putting moisture back into the air. It can also help with dry eyes and respiratory issues. I use a Venta AirWasher because it adds humidity while also cleaning the air (you can see my review on that here). Just don’t overdo it with the humidifiers (the last thing you want is to create mold). Use your judgment here. Have you Tried a Humectant? Humectants are substances that pull water into your skin. Synthetic humectants (propylene glycol, urea, silicones, etc.) pull water from the deeper layers of your skin, which will make your skin look more plump and hydrated, but can actually dehydrate your skin over time. Natural humectants (aloe vera, honey, hyaluronic acid, etc.) can hydrate your skin and deliver nutrients to the deeper layers as well. Aloe vera is a great cruelty free and vegan humectant that can calm skin irritations while adding moisture to a dry scalp. It contains vitamins and amino acids that help to heal. It has antibacterial and antifungal properties, as well as bradykinin and campesterol, that are great if you have any tiny cuts or inflammation. Ishani Botanicals makes several aloe vera gels that are made with natural, organic ingredients. My favorite is the Organic Aloe Vera Gel with Peach and Avocado. It’s made with simple ingredients (no weird stuff!) and you can use it on your scalp, face or body. The peach extract also makes it smell amazing (the peach obsession is real)! Dry Scalp Products: Have you Tried Tea Tree Oil? You may think of tea tree oil as a remedy for oily skin, but it’s also great for dry skin or a dry scalp (and for dandruff!). It has anti-inflammatory, antibacterial and antifungal properties, and it can unclog your hair follicles, which could be the source of your dry scalp in the first place! 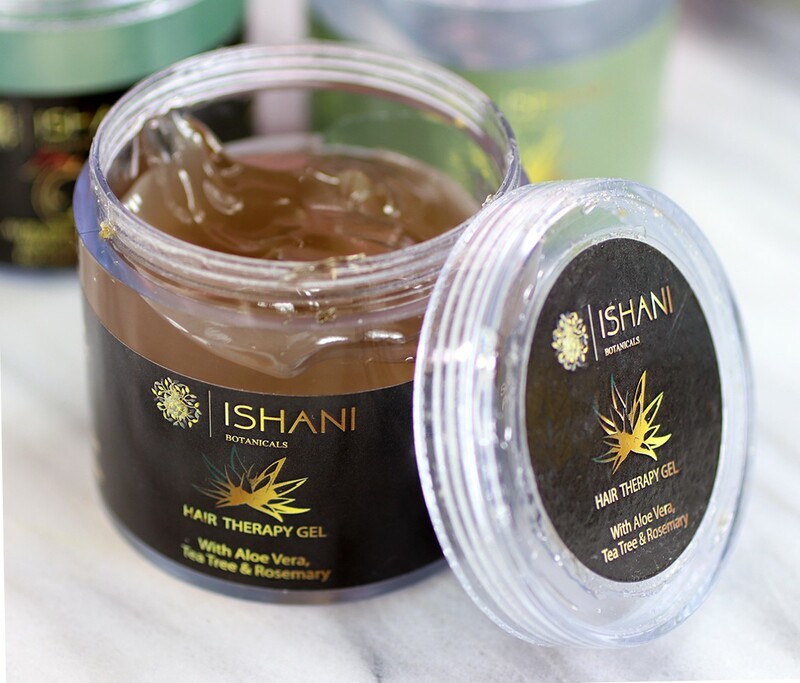 I’ve been using Ishani Botanicals Organic Hair Therapy Gel (vegan) because it’s made with organic aloe vera, tea tree oil AND rosemary (the trifecta!). It’s a light gel that you can apply directly to the scalp. It won’t weigh your hair down at all. The combination of ingredients can help to stimulate blood flow to your scalp as well as remove buildup from hair follicles, which could potentially help with hair growth as well. Of course, it depends on the reason for your hair loss. If you have genetic hair loss or alopecia, this isn’t going to be a magic bullet. But if your hair growth has slowed down a bit due to clogged follicles, this could help. Dry Scalp Products: Have you Tried a Hair Oil? After you apply your humectants and tea tree oil products, add a hair oil to seal it in and add additional moisture. You can either do this at night (and wash out the next day), as a “pre-poo” (massage it in before you wash your hair), or if your hair is thick and dry, you may be able to leave it in during the day (my hair is way too fine for that). Ishani Botanicals makes a great Root to Tip Organic Hair Oil with sesame, hibiscus, fenugreek, henna (don’t worry it’s not a dye) and false daisy. 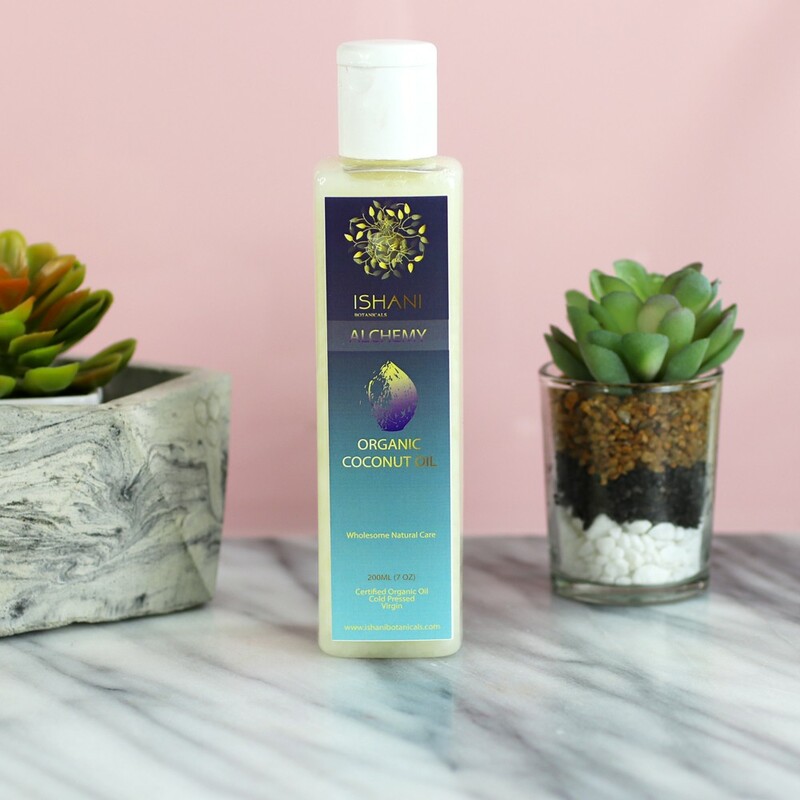 Or if you want to keep it simple, you can try their Alchemy Organic Coconut Oil. It’s cold pressed, organic, and you can use it on dry skin, lips, cuticles, hands, or feet. Just be careful with coconut oil if you’re prone to acne – it can be a trigger. For a more intensive dry scalp treatment, try using these oils as a hot oil treatment once or twice a week. Massaging the oils into your scalp can also stimulate blood flow and the production of your natural oils. For more coconut oil beauty hacks, click here. I hope these dry scalp products and remedies help you! If you have any other suggestions, please leave them in the comments below. I love hearing from you guys! Thanks for sharing! The winter months are so very cruel to my scalp, face and well everywhere really. This winter has been really bad today’s high is -18 with the wind chill. Probably one of the coldest winters we have had in many years. Ill have to give some of these products a try! Ugh, I’ve been noticing some dryness and slight flaking from my scalp lately (thanks dry weather!). This was all super helpful, I’m going to have to try some of these solutions out. I’ve been wanting to get a humidifier to help with my allergies, I never thought it about it helping with dry scalp. Thanks for sharing these! I’m definitely dealing with dry scalp! No bueno. I have received so many scalp shampoos and conditioners, but I haven’t gotten into them yet. I don’t have an oily scalp, but I don’t have noticeable dryness either. But thank you for explaining what scalp haircare products are for! Negative 18 degrees!! OMG I think I would die! Hi Amanda! Yeah the humidifier is SO helpful. It keeps me from waking up with sandpaper-like dry eyes, sore throat and super dry skin. These are great tips and sound like great products too! Dry flaky scalps are awful to deal with. 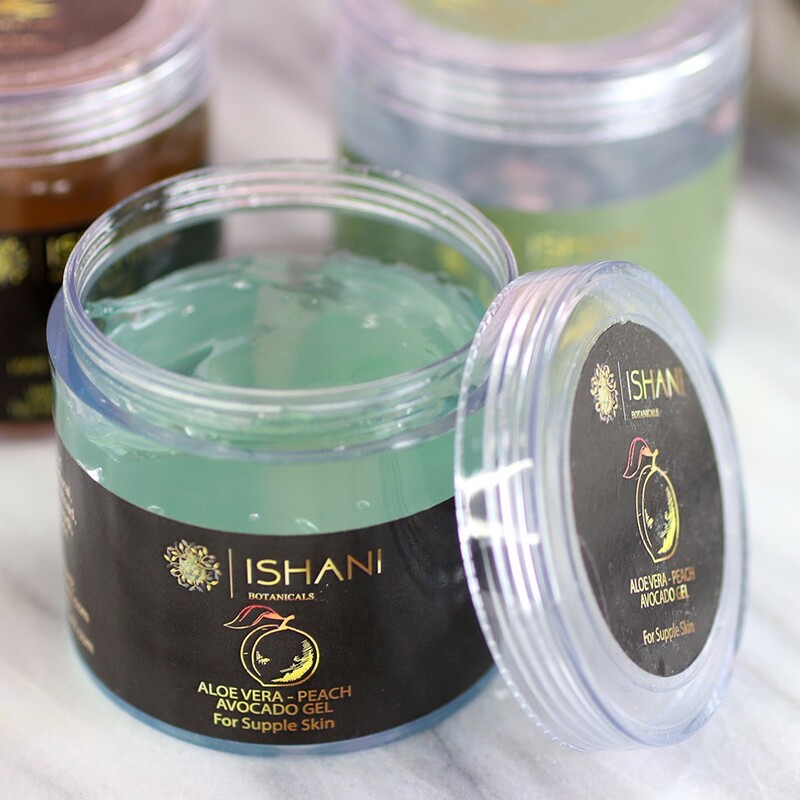 I like the sound of the Ishani Aloe Vera Gel for all that ails me in the winter. I massage oils into my scalp and hair- usually Argan Oil. I’m curious about the ingredients in each product. They don’t have any on their website besides in the description of a few in it. I’d love to know though! Excellent tips! I deep condition like a madman during the winter, otherwise I can make it snow! 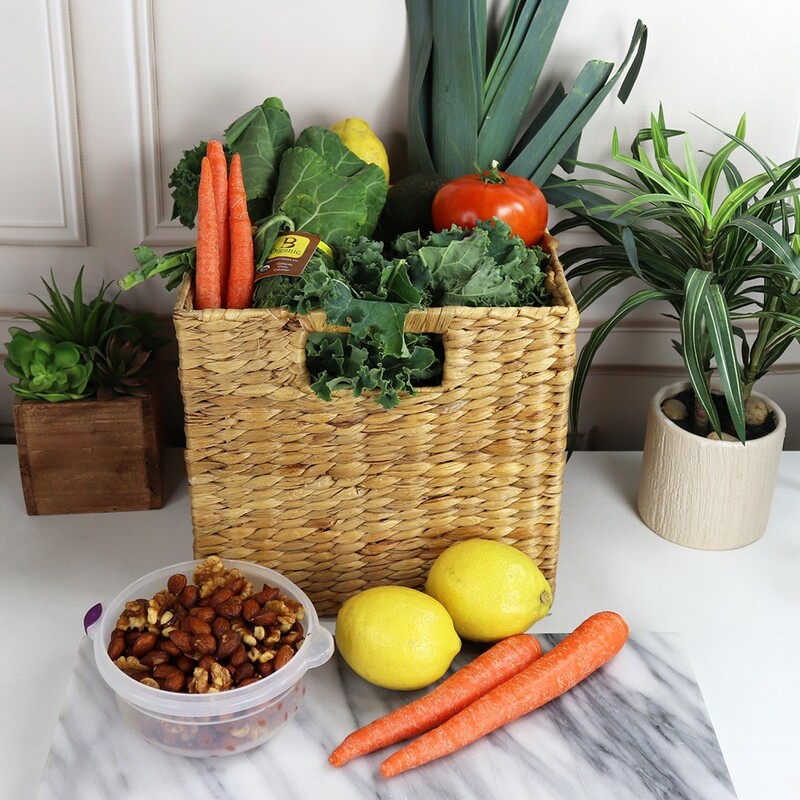 Hi Jessica – the ingredients are super simple with no additives – just what is listed on the front is what they told me!